Photo (approx. 3.75 x 5.5 inches) mounted to a cardboard frame/backing (6 x 8 inches). Photographer is Sol. Young Studios of New York. Otherwise undated and unidentified. 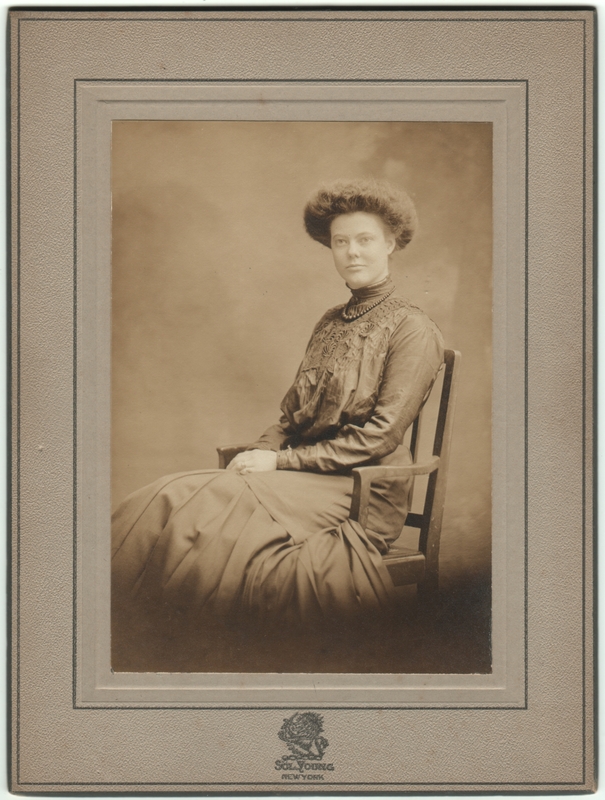 I’m guessing this is intended to be a Gibson Girl hairstyle, but to my modern eyes it looks a bit goofy. Still, given that, I think the photographer did a nice job of lighting her and balancing the image. By the way, click here to see the list of the Sol. 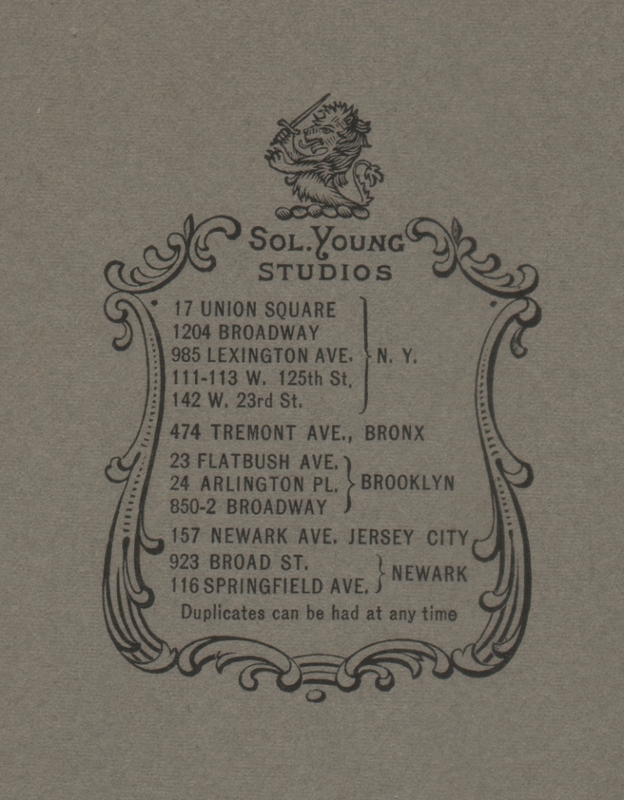 Young Studios locations printed on the back. I read online that Mr. Young opened his first studio in New York in 1893 and started expanding. By the time he died in 1921, he had expanded to 18 studios, included these addresses as well as Philadelphia and Connecticut. Sometime, when I’m feeling more industrious, it might be interesting to try to narrow down the date by finding which studios were opened when and comparing that information to the studios open here. Yes, she looks a little amazed by it, too.